General Macarthur and other senior Army officers, upon his arrival at Atsugi airdrome, near Tokyo, Japan, 30 August 1945. U.S. National Archives. Occupation official turned historian Richard B. Finn notes, "World War II was the first major conflict in history in which the victors carried out trials and punishment of thousands of persons in the defeated nations for 'crimes against peace' and 'crimes against humanity,' two new and broadly defined categories of international crime." For most people, this calls to mind the trials of Nazi war criminals at Nuremberg. But an equally difficult, fascinating, and controversial set of trials occurred in Tokyo, under the watchful eye of Supreme Commander Douglas MacArthur. The Tokyo trials were not the only forum for the punishment of Japanese war criminals, merely the most visible. In fact, the Asian countries victimized by the Japanese war machine tried far more Japanese -- an estimated five thousand, executing as many as 900 and sentencing more than half to life in prison. But with Japan under the control of the Americans, the most prominent Japanese war leaders came under MacArthur's jurisdiction. The Potsdam declaration of July 1945 had called for trials and purges of those who had "deceived and misled" the Japanese people into war. That was the simple part; there was major disagreement, both among the Allies and within the U.S., about whom to try and how to try them. Despite the lack of consensus, MacArthur lost no time, ordering the arrest of thirty-nine suspects -- most of them members of General Tojo's war cabinet -- on September 11, just over a week after the surrender. 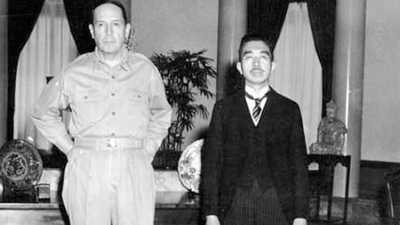 Perhaps caught off guard, Tojo tried to committ suicide, but was resuscitated with the help of American doctors eager to deny him even that means of escape. On October 6 MacArthur received a directive, soon approved by the other Allied powers, granting him the authority to proceed with the major trials and giving him basic guidelines for their conduct. As they had done in Germany, the Allies set up three broad categories. "Class A" charges alleging "crimes against peace" were to be brought against Japan's top leaders who had planned and directed the war. Class B and C charges, which could be leveled at Japanese of any rank, covered "conventional war crimes" and "crimes against humanity," respectively. In early November, the supreme commander was given authority to purge other war time leaders from public life. Again, MacArthur moved quickly: by December 8 he had set up an international prosecution section under former U.S. assistant attorney general Joseph Keenan, which began gathering evidence and preparing for the high-profile Class A trials. On January 19, 1946, MacArthur announced the establishment of the International Military Tribunal for the Far East (IMFTE), and a few weeks later selected its eleven judges from names submitted to him by the governments sitting on the Allied Far Eastern Commission. He also named Keenan the chief prosecutor and Australian Sir William Webb the tribunal's president. Twenty-eight high-ranking political and military leaders were indicted on 55 counts of "crimes against peace, conventional war crimes, and crimes against humanity." The Tokyo trials began on May 3, 1946, and lasted two and a half years. Although an improvement over the hasty Manila trials, which were also organized by MacArthur and resulted in the executions of Generals Yamashita and Homma, the Tokyo trials have been criticized as another example of "victors' justice." One of the more authoratative studies condemns them strongly: "We have found its foundation in international law to be shaky. We have seen that its process was seriously flawed. We have examined the verdict's inadequacy as history." On November 4, 1948, Webb announced that all of the defendants had been found guilty. Seven were sentenced to death, sixteen to life terms, two to lesser terms, two had died during the trials and one had been found insane. After reviewing their decisions, MacArthur expressed his regrets but praised the work of the tribunal and upheld the verdicts. Although calling the duty "utterly repugnant to me," MacArthur went on to say, "No human decision is infallible but I can conceive of no judicial process where greater safeguard was made to evolve justice." On December 23, 1948, General Tojo and six others were hung at Sugamo prison. 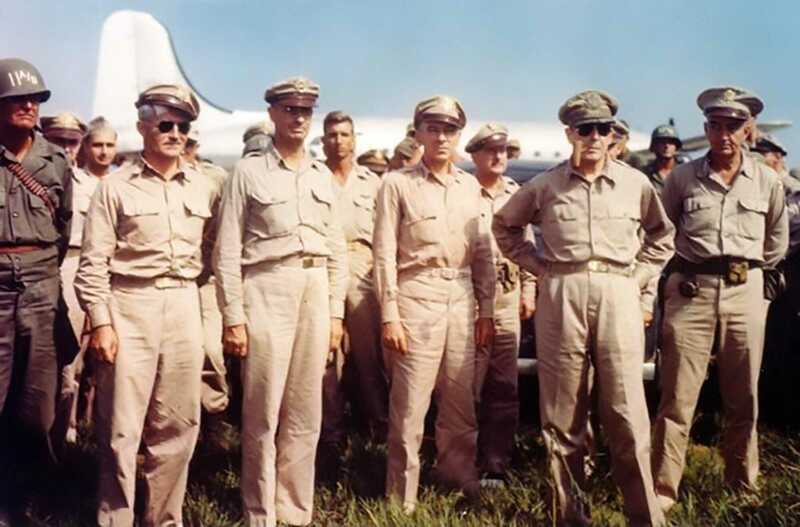 MacArthur, afraid of embarrassing and antagonizing the Japanese people, defied the wishes of President Truman and barred photography of any kind, instead bringing in four members of the Allied Council to act as official witnesses. 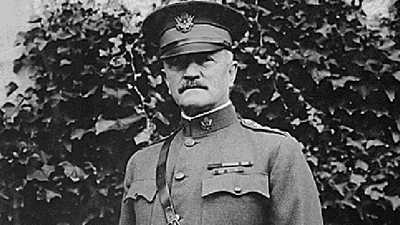 One of the most dashing men ever to wear the uniform, John Joseph "Black Jack" Pershing was the most accomplished and celebrated American soldier of the early 20th century. 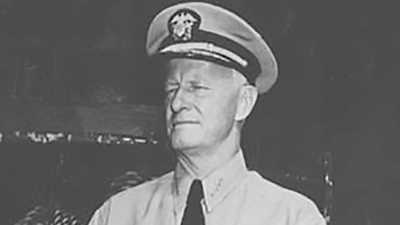 Growing up in Fredricksburg on the arid plains of central Texas, Chester Nimitz hardly seemed destined to become one of America's great naval heroes.